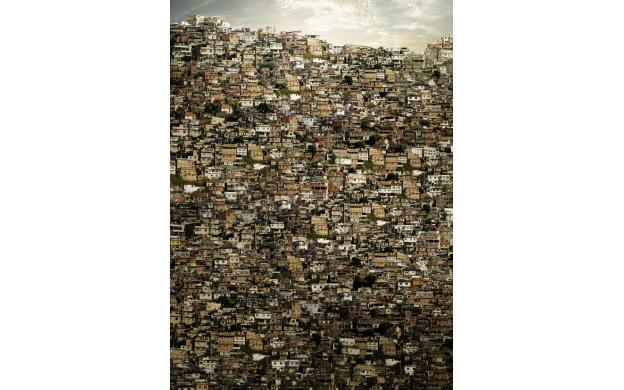 What is the population density in one of these favelas? What's the population of that photograph? Do they pay property tax? If so, how is it assessed? How many people live in that photograph? How many people live on this hill? How many people live on this hillside? Are those houses? How many people are living on that hill? How many homes? How many people? How many people per home? What's the population density and how does it compare to NY, T.O. or any other city? What is the population density (persons per square mile) in this community? What about roads? Electricity? What is the population density of this neighborhood? How can you make a good estimate for the number of houses in this picture? how many houses? what is the population? Are those houses? Where is this? How many houses? Approximately how many dwelling are in this photo? How many homes are pictured? How many people leave there? How many houses are in the picture? How many pets are in all those houses. How many buildings are in the picture? what would be like to live in the middle?